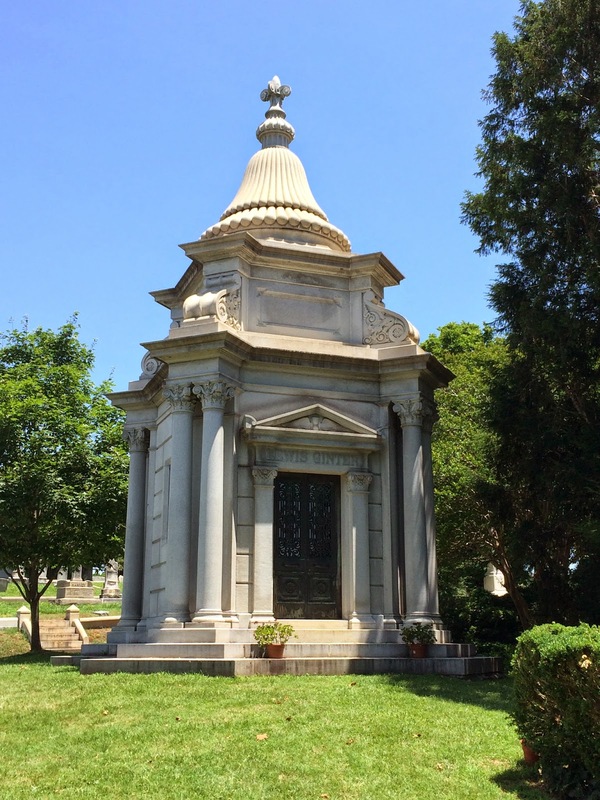 It’s almost impossible to miss Lewis Ginter’s magnificent mausoleum in that particular area of Hollywood Cemetery, as it juts upward into the Richmond sky towering over the sparsely populated plot. 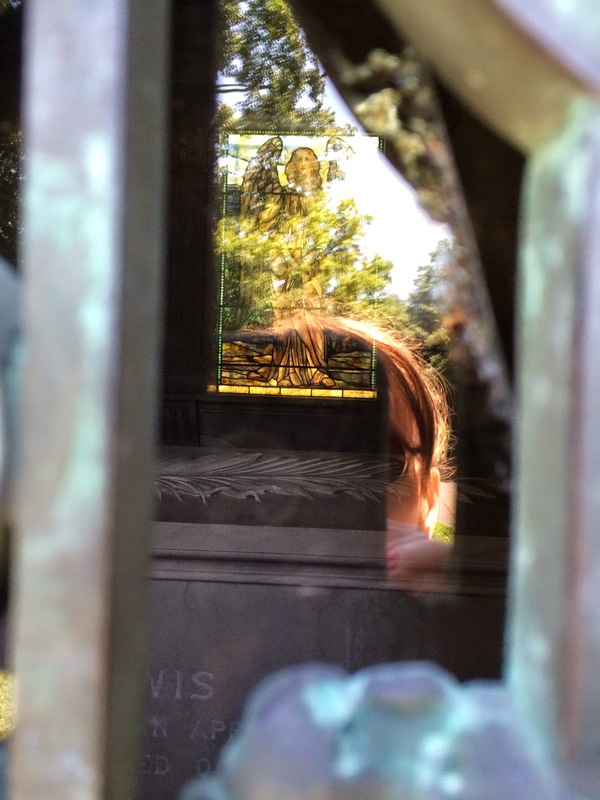 It wasn’t until I peeked through the barred windows that I realized there was only one tomb inside of a building that could have easily accommodated the remains of several others. 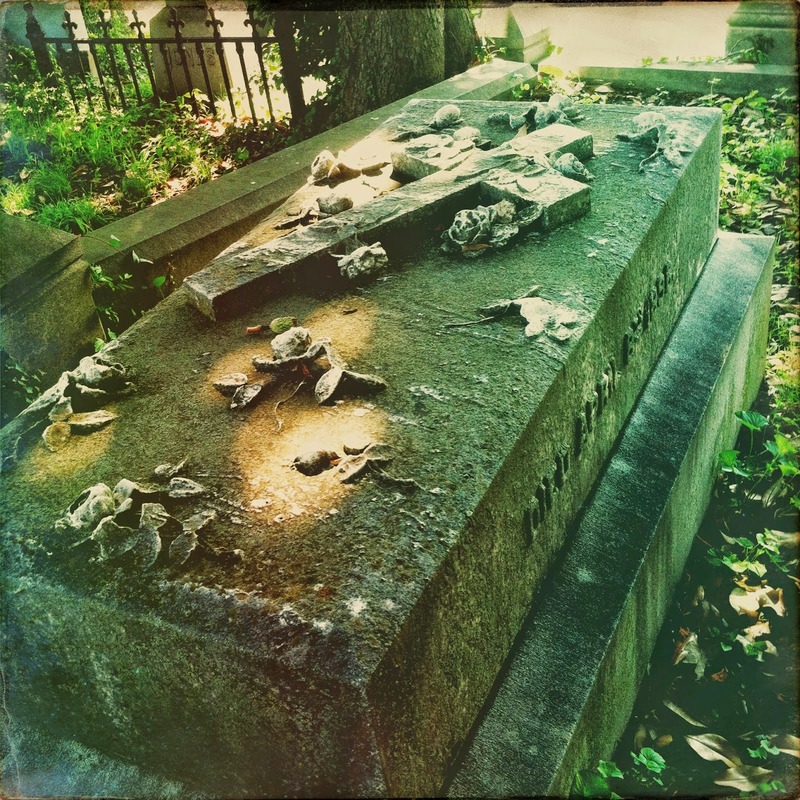 Between the opulence of the mausoleum and the fact that he was buried alone in the late 1890s, when family members were usually interred in close proximity to one another, I had a hunch that there was something here worth digging into. My initial search began as it usually does: combing through the old newspapers for obituaries. As expected, prominent businessman Lewis Ginter’s name appeared numerous times in the archives. He was well-known for being a man who gave generously to charitable organizations, as a champion for the growth of Richmond, and he was hailed as a shining example of entrepreneurship. He lived a very private life and despite his standing in the community many Richmond residents had never actually seen him by the time he passed away. There was a lengthy article about Ginter in the October 3, 1897 edition of The Times, a newspaper that he owned. 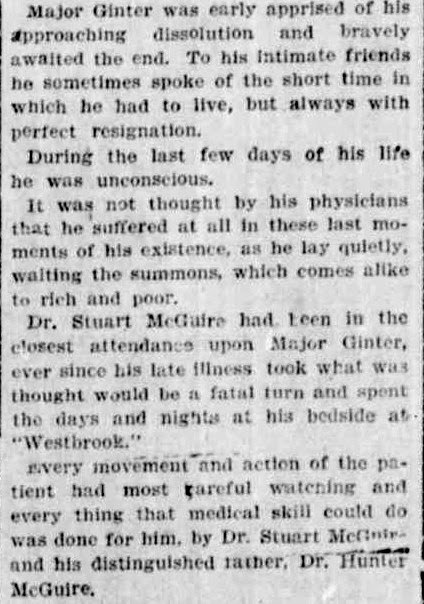 The feature outlined many aspects of Ginter’s professional life, but it was the description of events leading up to his death and the questions raised by the newspaper’s wording that were particularly interesting to me. 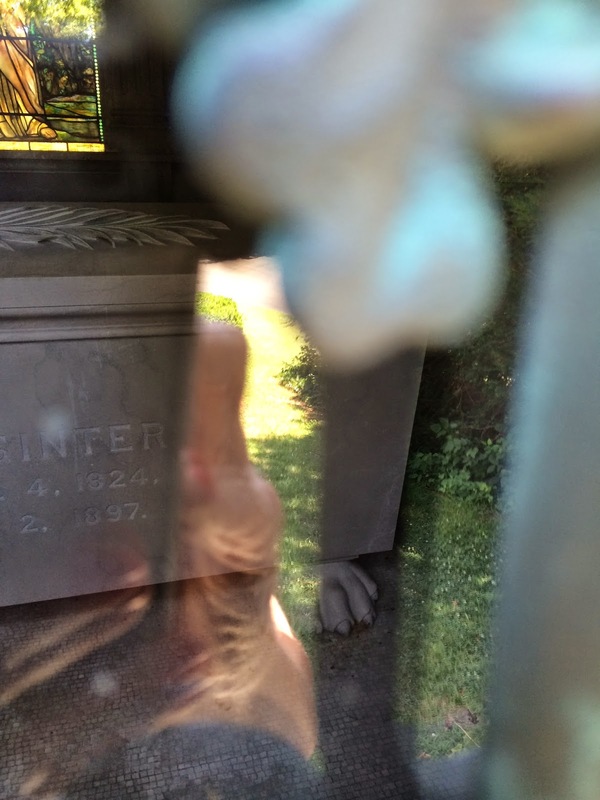 Ginter’s death at age 73 on October 2, 1897 was attributed to consumption and diabetes. This cocktail of maladies had gradually worsened since the death of his longtime companion John Pope in 1896, a loss that left Ginter severely prostrated. 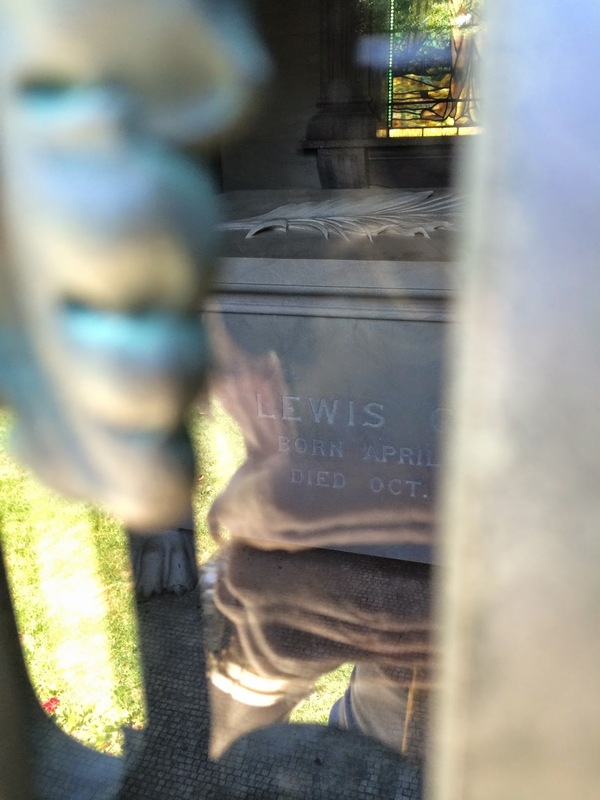 Lewis was born on April 4, 1824 in New York to Dutch immigrants John and Elizabeth Somerindyke Ginter. (In previous generations, the surname was “Guenther” but by the time of Lewis’ birth, the spelling and pronunciation became “Ginter.”) Ginter’s father, a grocer, died in 1825 and his mother went to the grave in 1834, leaving him in the care of relatives. Ginter grew up in modest circumstances and according to The Times he had “little or no mental training except what he acquired through his own energies.” As a child he had a natural brain for business, saving whatever money he earned to make small investments. 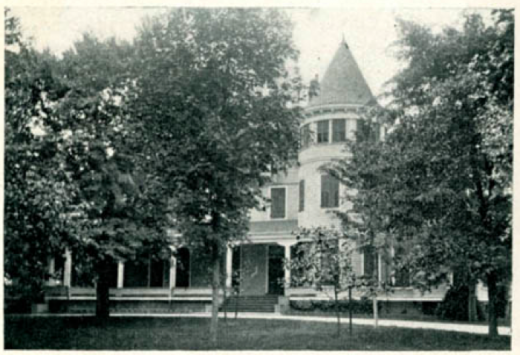 During this time Ginter boarded at John Alvey’s residence and eventually the two formed Ginter and Alvey, dealing in linen and other white goods. In this capacity Ginter traveled to Europe at least once a year to purchase stock. As the business grew, so did its number of partners. When James Kent became a partner the firm was renamed Ginter, Kent, and Alvey. When Kent retired, Ginter’s nephew George Arents made partner and the name of the organization was altered to reflect this addition. Just before the Civil War Mr. Alvey moved to California and Arents took a treasurer’s position with the American Tobacco Company in New York. Ginter continued working until the start of the war, when he sold his interest in the firm and joined the Confederate army as a Quartermaster. In 1862 he was promoted to Commissary and earned the nickname, “The Fighting Commissary.” By the time he left service he had been promoted to Major. 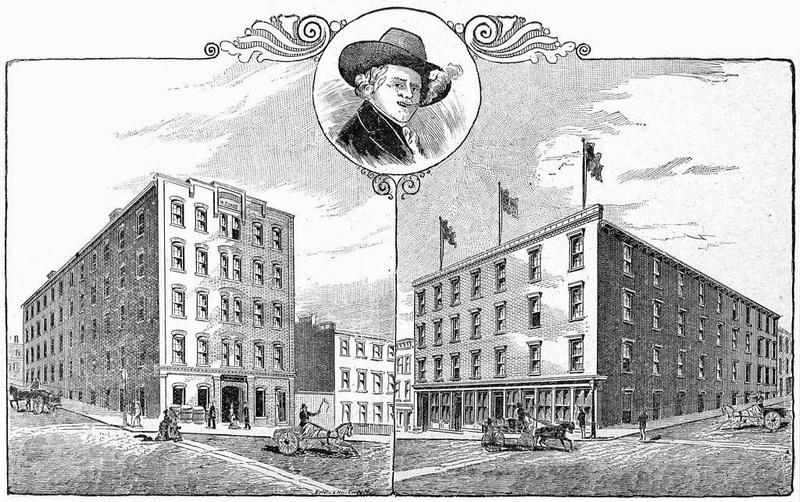 After the war Ginter discovered that the sugar and tobacco he’d hidden away in Richmond warehouses had been destroyed, but his cache of cotton afforded him the opportunity to return to New York where he joined a banking and brokerage firm. After several years of flourishing on Wall Street, Ginter lost his fortune again after 1873’s Black Friday. 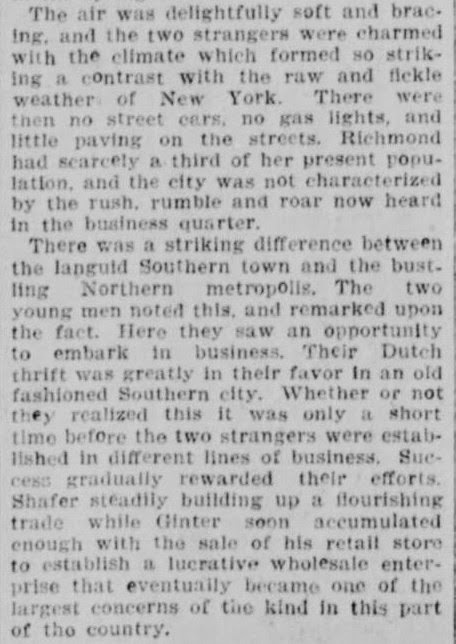 Major Ginter grew nostalgic for Richmond and the prosperity that he enjoyed there. He moved back to the Commonwealth and joined his associate John Allen in the tobacco manufacturing trade, putting all of his energies into building up the factory. Ginter traveled extensively while at the tobacco firm and it was on one such trip to New York that he met John Pope, a messenger boy who was around 32 years his junior. The two struck up a friendship that resulted in Pope moving to Richmond where Ginter would mentor him in the tobacco trade. Ginter’s introduction of the “Richmond Gem” brand of paper-rolled cigarettes was one of the many global successes that came out of his involvement in the tobacco business. After twelve years Allen retired and sold his portion of the business to Ginter who then took on Pope as a partner in the firm, retaining its original name. 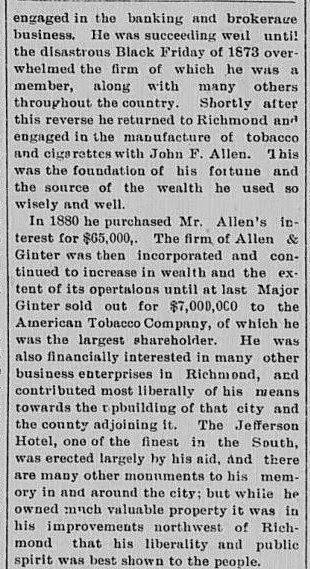 In 1890 Allen and Ginter joined several other firms to form The American Tobacco Company. Major Ginter was elected president, but he refused the office and chose to instead sit on the board of directors. Ginter was also involved in a host of other monetary pursuits that expands beyond those listed here. He was president of the Brook Turn Pike Company, the Sherwood Land Company, and the Jefferson Hotel (a property that he also owned); vice-president of the Virginia Dredging Company; and he was a key player in real estate throughout the city. In 1893 one of Ginter’s tobacco factories burned, leaving hundreds of employees (many being women) without work. Ginter decided to set up a temporary factory so that his workers could continue to earn instead of waiting for the destroyed headquarters to be rebuilt. On a separate occasion, someone suggested that Ginter use modern machinery to build roads. Ginter’s response was, “And what would become of these two hundred workmen and all these mules and carts?” Acts such as these earned him the gratitude and respect from the community at large. Major Ginter wasn’t all about business, though. He was a refined man, fluent in French, who was interested in the arts, literature, architecture, music, and French landscape gardening and cuisine. Westbrook, one of the residences that Ginter shared with John Pope, was decorated with exquisite paintings, sculptures, and adornments from all over the world. The gardens around Westbrook were meticulously cultivated. Ginter spent countless hours in his well-stocked library, pouring over books both fiction and non-fiction, including titles in science, natural philosophy, and astronomy. He knew Edgar Allan Poe and was a close friend of John R. Thompson, poet and editor of the Southern Literary Messenger. 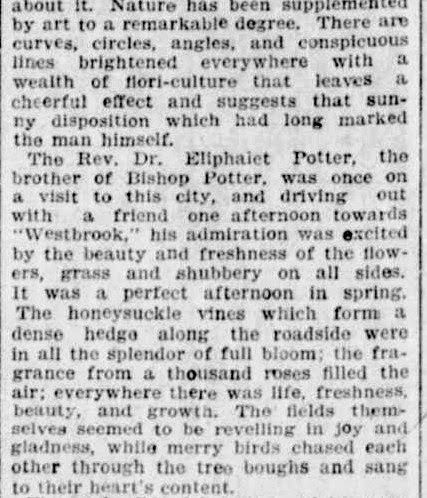 The Times briefly addressed Ginter’s lifelong bachelor status. 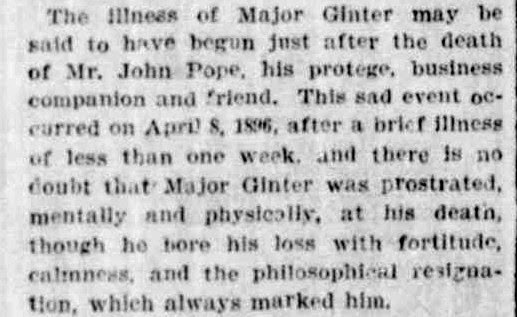 Articles such as these regarding Ginter and marriage bring us back to his friendship with John Pope, a topic delved into by many researchers over the years. In the grand scheme of things, whether or not Ginter and Pope were lovers doesn’t really matter. However, if they were romantically involved it seems tragic that the two weren’t able to openly express their devotion or marry (if they’d wanted to). There is no solid evidence to back up the idea that the two men, who lived together for nearly thirty years, were in a relationship beyond the platonic and it’s this mystery that intrigues curious minds like my own. The private lives of those I visit in the skull orchards are windows into the social climate in which they lived, glimpses into hidden histories not usually printed on tourist pamphlets or in history books. It wasn’t rare for older, established men in the 19th century to train youths in order to mold their business savvy and Ginter certainly wasn’t the only man who never married. Fraternal organizations, several of which Ginter was a member, glorified friendships among men. Due to Victorian attitudes about sexuality it is likely that no one thought twice about what was going on between Ginter and Pope’s closed doors, or at least those speculations weren’t publicly documented. It’s also possible that no one cared about Ginter’s personal affairs. His good character and willingness to help those in need far should’ve been what the community was concerned with. In early April 1896 Pope underwent an operation for a throat abscess. Less than a week later, on April 8 at around 9:45 p.m., blood poisoning claimed his life at Ginter’s West Franklin Street residence. Pope’s body was buried at Hollywood Cemetery in a plot that Ginter originally purchased for himself. I found a photo of Pope’s grave that I took last summer and remembered that it was some distance away from Ginter’s mausoleum. As mentioned earlier, Ginter’s grief after his companion’s death likely hastened his visit from The Reaper. In July of 1896, Ginter decided to sail to Europe to get away for a spell and hopefully heal his mind and body. His traveling companions were his niece, Grace Arents; his doctor, Dr. Hunter McGuire; and his secretary and friend, Mr. A.H. Thiermann. 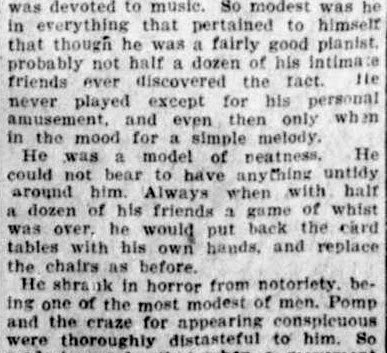 Throughout the trip Ginter experienced several bouts of illness, but when the party returned to Richmond in November he felt better than he had in some time. 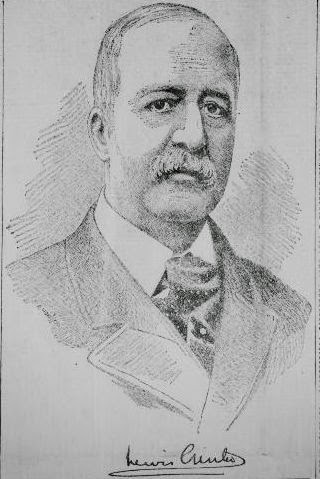 There were occasionally episodes of ill health over the following months, which led to his decision to leave The American Tobacco Company in April 1897. On May 8, Ginter, Dr. McGuire, and several others went to Old Point Comfort, seeking another change of scenery. Within a few days at the Chamberlin Hotel, Ginter didn’t even feel healthy enough to leave his room so the trip was cut short. From July to September 1897 Ginter and his party visited Bar Harbor, Maine to escape Virginia’s hot summer weather. During this respite his health fluctuated and when the trend headed towards a downhill slope, Ginter requested to return to Westbrook. Doctors Stuart and Hunter McGuire attended to the patient throughout his final months, bringing in New York physician Dr. Janneway to consult. When the doctors agreed that they were doing all that they could to make Major Ginter comfortable, the reality that the end was near became painfully clear. After being unconscious for several days Ginter shuffled off this mortal coil on October 2, a death that was described by his doctors as peaceful and (relatively) free from suffering. 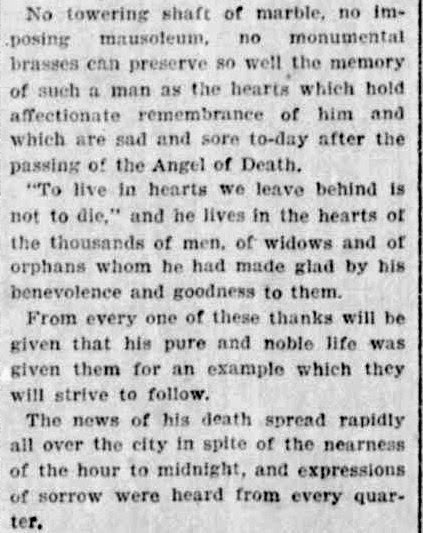 One of the things I love about the older newspapers is that they often went into vivid detail where death was concerned. Ginter’s outer casket was fashioned of cedar wood and the copper inner casket lined with satin. Oxidized steel railings flanked the sides and the only other decoration was a silver plate inscribed with Ginter’s name and his dates of birth and death. After the funeral that casket would be hermetically sealed in another oak and copper casket and temporarily housed in J.C. Shafer’s mausoleum until the Ginter mausoleum was erected. 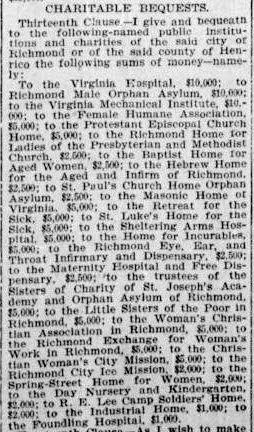 According to the October 5 issue of the Richmond Dispatch, Ginter did not want to be interred in the lot that he’d originally purchased (the site of Pope’s grave). The reason behind that decision (if it was reported accurately) is unknown. Relatives planned to entomb Ginter in an older area of the cemetery, near the graves of some of his other acquaintances. No one was allowed to view Ginter’s body because his weight had dropped to around 70 pounds by the time he died. Dr. McGuire thought that it was best that his mourners be spared seeing him in such an emaciated condition. The funeral took place on October 5 from St. Paul’s Church. Flags throughout Richmond flew at half-mast and the doors of businesses and charities associated with Ginter were decorated with black mourning crepe. Some of the businesses closed for the day; others gave employees the option to attend the funeral. Major Ginter stipulated before his death that he wanted a “simple and unostentatious” memorial service without Masonic ceremony or other fancy trimmings. When Ginter’s last will and testament was published in the Richmond Dispatch on October 7, readers learned that the philanthropic nature that he exhibited in life continued beyond his death. The clauses regarding other people who received either cash, properties, or trust funds took up several columns of the printed page, as Ginter left behind an estate worth millions even after Virginia took its share. 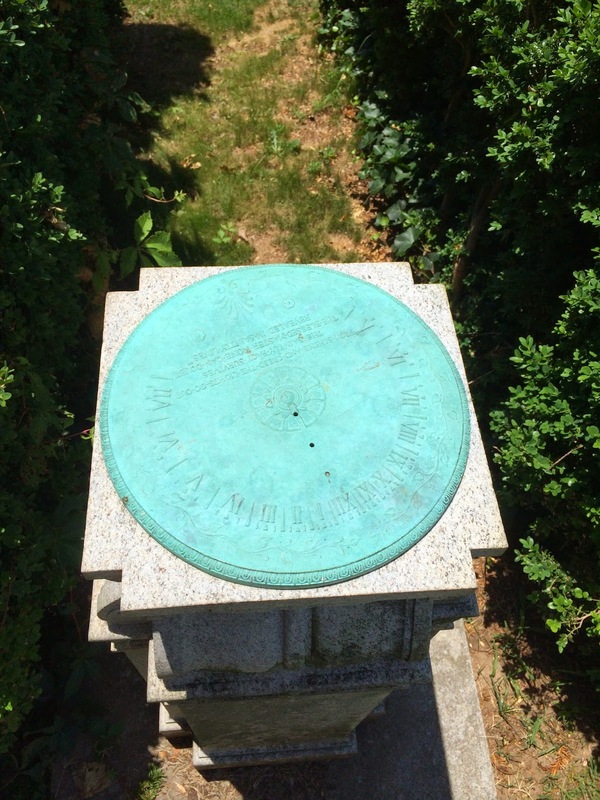 The only other grave that I noticed in the plot was a sundial positioned in between two rows of boxwoods, almost hidden from view. I wanted to walk between the bushes to get a better photo of the face, but there was a large spiderweb guarding the path. 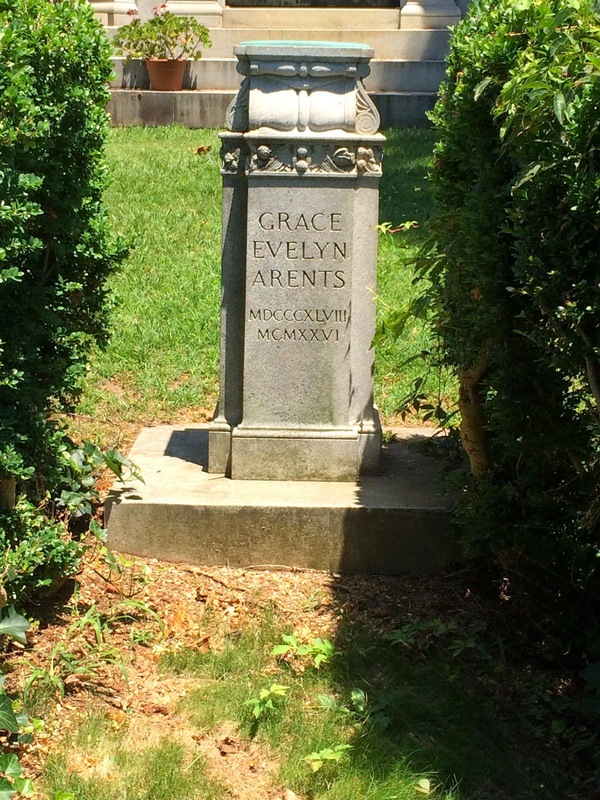 I later found out that the sundial marked the grave of Ginter’s niece, Grace Arents, who was also known for her shy nature and extremely charitable character. As with her uncle, there is speculation that Grace was also romantically involved with her longtime companion, Mary Garland Smith, but that is another post for another day. Biographical Dictionary of American Business Leaders, Vol. 1.